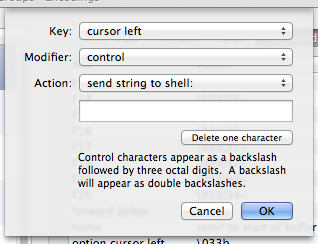 By default OSX Terminal doesn't let you use many standard OSX text-editing shortcuts. 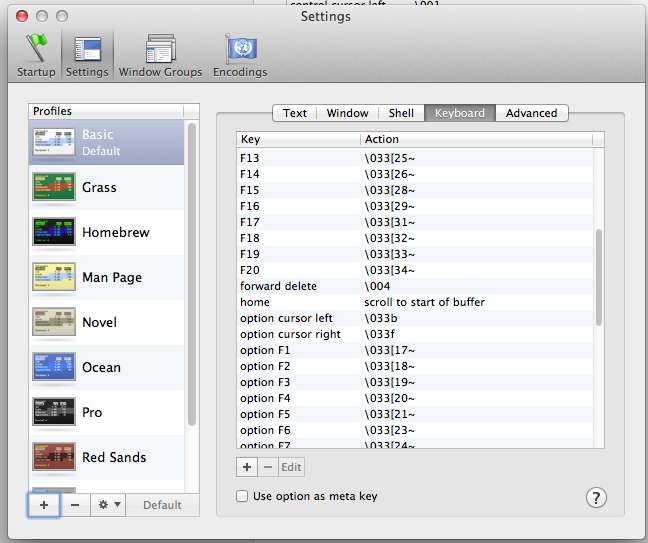 For example, CMD or Control Left normally jumps to the start of the line. Alt-left jumps left one word. Also forward delete doesn't work. 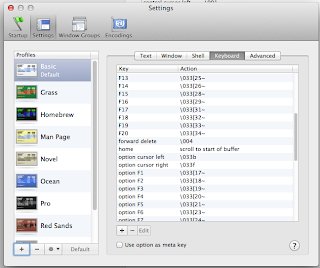 Happily it's possible, though slightly confusing, to add these shortcuts back. Now let's add those shortcuts back. Click in the empty white box and press Escape+f. \033f will appear. I find adding these shortcuts in makes terminal much more usable.